Click the Items below to view details and add to your party list. Space Walk takes pride in the inflatables we rent. 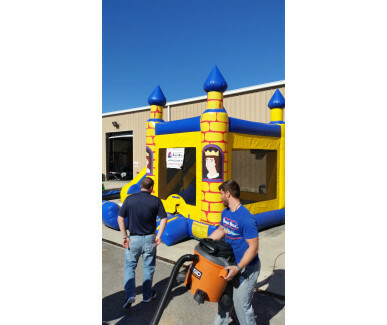 We will always provide you with clean inflatables for your parties and events. 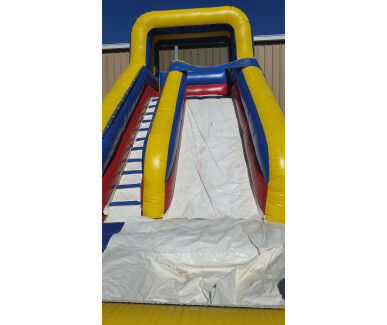 When renting inflatables and bounce equipment be sure you are making a good choice. Space Walk is fully licensed and insured. Safety is of high importance at Space Walk. Our units are regularly cleaned and inspected to ensure the safety of our customers. 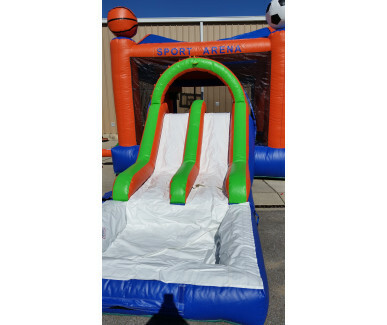 SpaceWalk created the entire inflatable ride industry! We now have nearly 200 branches across the country and are still the leaders of inflatable fun. SpaceWalk Delmarva is a Veteran owned, locally operated branch in Salisbury, MD. We service most of Wicomico, Worcester, Dorchester and Somerset Counties. Fully licensed and insured, we can accommodate Backyard Parties as well as Schools, Churches, Corporate Events, and Festivals. We have the entire SpaceWalk inventory available to us to meet any demand. Call us today, we're happy to chat about your event! Get promo codes in your inbox. Special deals for subscribers! I have already told my family and friends all about Space Walk and will continue to rent from here! We will definitely use them again! All three units were great! The guys did an excellent job getting them set up and ready to use. The bounce house was perfect...delivered on time, picked up on time and very clean! I even had to play on the slide! We rented the helix slide and it was perfect for all of the kids! Very pleased with the slide, we will definitely use this company again! Kids and adults alike enjoyed the slide! We rented a 40ft slide and we’d do it again...it was worth it! Thanks for a great rental! I was very happy with the Space Walk experience. Thanks! The service was wonderful! Thanks for helping our event go off without a problem! Would definitely consider for future events and recommend to others. The man who delivered the inflatable was very helpful and extremely flexible with the pickup. I can’t say enough about how pleased I am since Space Walk was the centerpiece to the party! Thank you for a great day! We had a water slide and a jump and my daycare kids had a great end of the year party! I rented the Sno Cone machine. I always enjoy working with Space Walk. I'd like to receive the occassional (once or twice a month) email with special offers, discounts, and other great content from Space Walk.